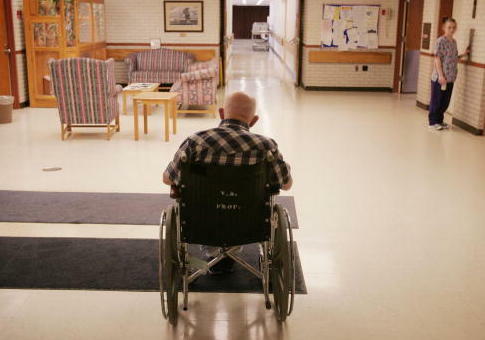 There were 178 cases in Kansas in which Medicaid and Medicare patients in nursing homes were either harmed or their health or safety was put in immediate jeopardy, according to a Department of Health and Human Services Office of Inspector General audit report. The Social Security Act requires nursing homes participating in Medicare and Medicaid to meet certain requirements such as quality care, infection control, and proper nursing services. It also requires that the state conduct surveys, which include a periodic nursing home inspection, to ensure the nursing home is meeting federal requirements. "Previous Office of Inspector General (OIG) reviews found that some State agencies did not always verify that selected nursing homes had corrected identified deficiencies," the report states. "A nursing home's noncompliance with a Federal participation requirement is defined as a deficiency. Examples of deficiencies include a nursing home's failure to adhere to proper infection control measures or failure to provide necessary care and services." The state of Kansas was required to make a statement explaining the type of noncompliance, name the federal requirement that was not met, and issue a rating for the severity of noncompliance. Auditors found there were 178 cases given a rating that meant the nursing home resident experienced "actual harm that is not immediate jeopardy," or "immediate jeopardy to resident health or safety." Another 1,949 cases were given a rating indicating no actual harm was done but there was potential for more than minimal harm. Auditors then examined a random sample of 100 cases of noncompliance and found that in 52 of them, Kansas either did not have evidence or could not prove that a correction had taken place. "On the basis of our sample results, we estimated that the state agency did not obtain the nursing homes' evidence verifying correction of deficiencies in accordance with Federal requirements for 1,114 (52 percent) of the 2,127 deficiencies identified during surveys in calendar year 2014," the report states. "We also estimated that the State agency could not provide sufficient evidence that corrective actions had been taken for 268 (13 percent) of the 2,127 deficiencies." In addition, auditors found that Kansas did not always conduct surveys of the nursing homes like it was supposed to do. Auditors recommended that Kansas update system controls, policies, and procedures to protect data and create a correction plan to ensure surveys are completed. In response, the agency said it agreed with the findings. "The findings and recommendations from the audit were taken seriously," said Codi Thurness, commissioner at the Kansas Department for Aging and Disability Services. "Steps were taken in 2016 (prior to the audit) to correct the deficiencies in our process. Feedback such as this is always value added as we seek to improve the surveying of nursing homes in Kansas." This entry was posted in Issues and tagged Kansas, Medicaid, Medicare. Bookmark the permalink.